Apple's newest iPhones, including the iPhone 8, iPhone 8 Plus, and iPhone X, use a "different performance management system" than older iPhones, which means any performance management features may be less noticeable on these devices. Apple outlined the difference between its newer iPhones and older models in an updated support document covering the Battery Health features introduced in today's iOS 11.3 beta. Apple says iPhone 8, 8 Plus, and X use a more advanced hardware and software design that's better able to estimate power needs and battery performance. iPhone 8, iPhone 8 Plus, and iPhone X models use a more advanced hardware and software design that provides a more accurate estimation of both power needs and the battery's power capability to maximize overall system performance. This allows a different performance management system that more precisely allows iOS to anticipate and avoid an unexpected shutdown. As a result, the impacts of performance management may be less noticeable on iPhone 8, iPhone 8 Plus, and iPhone X. Over time, the rechargeable batteries in all iPhone models will diminish in their capacity and peak performance and will eventually need to be replaced. 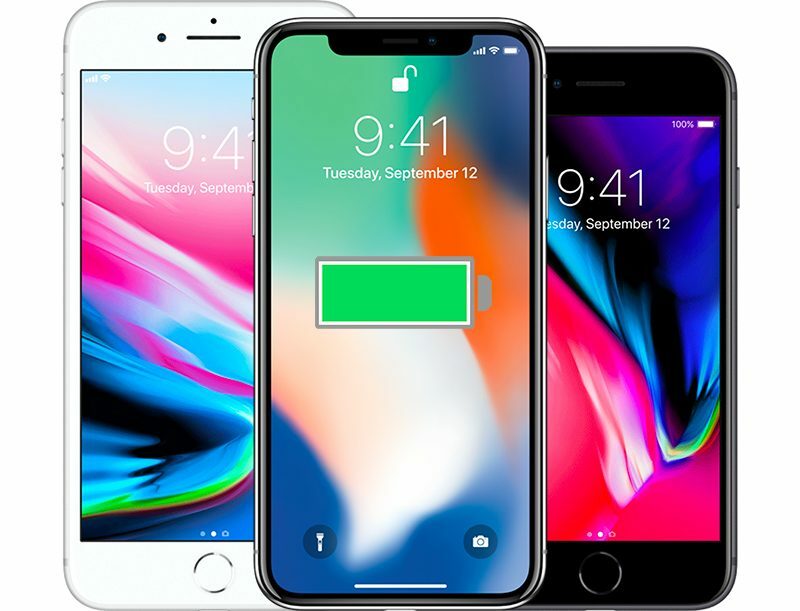 Though the iPhone 8, iPhone 8 Plus, and iPhone X may be less impacted by performance management features in the future, Apple says that the rechargeable batteries in all iPhone models will eventually diminish in capacity and need to be replaced for the iPhone to continue running at peak performance. While Apple previously said that the iPhone 8, 8 Plus, and iPhone X do not have power management features installed at the current time, today's updated support document gives us some insight into how these devices might be affected in the future. Apple has implemented performance management features in the iPhone 6, iPhone 6 Plus, iPhone 6s, iPhone 6s Plus, iPhone SE, iPhone 7, and iPhone 7 Plus. As of iOS 11.3 beta 2, customers can check to see if their devices are impacted by processor slowdowns in a new "Battery Health" section of the Settings app. Installing iOS 11.3 will turn off any current performance management features on older devices, and it will only be reimplemented if and when a device experiences an unexpected shutdown. Customers also have the option of turning off the feature even after an unexpected shutdown, but it will need to be disabled after each performance failure. For devices that have degraded batteries that are causing performance issues, replacing the battery solves the problem. Apple is continuing to offer $29 battery replacements through the end of 2018. Meanwhile, Android phones don't need to use any "performance management" at all to avoid shutting down. But by all means, Apple, tell us why this is so "needed". That's because this is all a cover up for faulty batteries and power management chips that were used in the 6,6s, and 7 iPhones. No iPhones before these suffered from random shut downs and reboots. Iphone 8 and X will be affected when the next iphones are released. They're also only a couple months old so the battery hasn't degraded to the point of models more than a year old now. We know most batteries start heading downhill after about a year or 1000 charges. You still don't get it. Apple just admitted that they screwed up power management design on 6 and 7 models. They were trying to hide it but failed. They will pay for it eventually. You're right, Android will simply shut down instead, which is what iOS is attempting to avoid. My GF's LG G5 will simply shut off suddenly at about 16% battery left. 'Apple says that it will automatically re-enable performance management each time the device unexpectedly shuts down. But wait, there's more. Apple is not done screwing us, folks. We don't believe you, Apple!